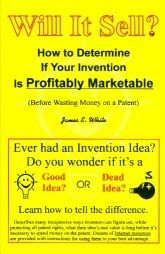 For more on this book see the www.willitsell.com web site. "I wish I'd had this book before I started. I'd have saved myself $20,000. Stan Good"